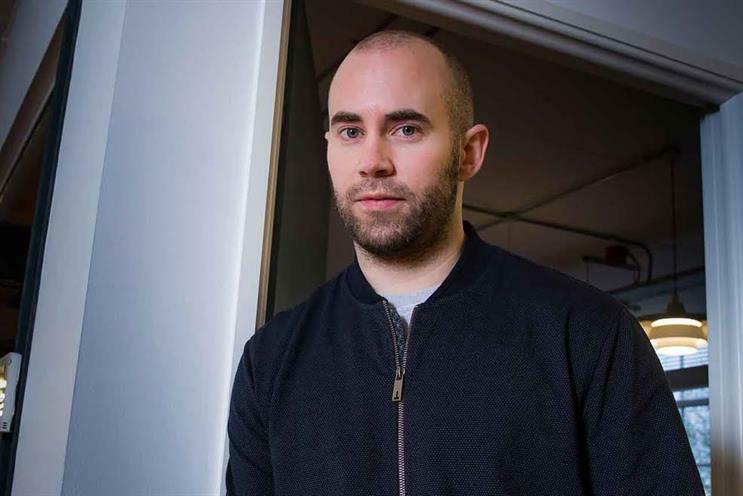 Lucky Generals has promoted business director James Fox, who becomes the agency's first managing director since launching in 2013. Fox joined the independent shop in 2014 from Anomaly, where he worked on YouTube, Converse and Universal Music. He was previously at MCBD and Dare between 2006 and 2012. At MCBD Fox worked with Lucky Generals’ co-founders Danny Brooke-Taylor, Helen Calcraft and Andy Nairn and worked on Hovis’ "As good today as it’s ever been", which won an IPA Effectiveness Grand Prix in 2010. Fox currently works on the Paddy Power, Betfair and Pot Noodle’s accounts. As managing director he will continue to work on those accounts as well as helping to run the agency. Lucky Generals has created the managing director role after a year in which the agency doubled its revenues and launched two new ventures – Wild Things and Dark Horses – under its Lucky Enterprises banner. Last week Campaign revealed Lucky Generals is in talks to sell a strategic stake to Omnicom. On Fox's appointment, Calcraft said: "James epitomises everything we look for in a Lucky General. He's extremely entrepreneurial, energetic, creatively-driven and great fun. "These are all qualities that make for a fantastic managing director too, so we thought it was time we got him applying his talents on a bigger stage."